It is no coincidence that people struggling with substance abuse often also experience mental illness, including depression. Not only can substance abuse and mental illness both share underlying causes, but they can each complicate the other condition. Risk factors for addiction can be related to family history, relationships, high stress levels, and living with a mental illness. Addictions also sometimes start with people who are trying to take their minds off of traumas they have experienced. NAMI, the National Alliance on Mental Illness, also lists trauma, genetics, stressful life circumstances, relationship problems, and substance abuse as underlying causes of depression. Family can have a huge impact on if a person develops a mental illness, a substance abuse issue, or even both and how well they are able to recover from those diagnoses. According to NAMI, mood disorders, including depression, can run in families. When a member of a household struggles with depression or addiction, it can create additional issues within the family. If support is lacking, a person with an addiction or a mental illness can find themselves feeling isolated, which can further exacerbate their symptoms, increase use of dysfunctional coping skills, and create added barriers to successful recovery. A key component of this definition is that the individual experiences the circumstances as traumatic. Two people can experience the same event and one may see it as a trauma, while the other may not find it to be traumatic at all. This may be due to a difference in personal resiliency, how competent a person feels to handle a situation, or how protected they feel from any risks. According to “one of the largest investigations of childhood abuse and neglect and later-life health and well-being”, the CDC Kaiser-ACE Study, the more traumas a person experiences in childhood, the more likely they are to later face a host of negative outcomes, including alcoholism and alcohol abuse, depression, illicit drug use, suicide attempts, and more. What begins as adverse childhood experiences can progress to disrupted neurodevelopment. Social, emotional, and cognitive impairments can result, followed by adoption of behaviors (including illegal activity, smoking, alcohol consumption, unsafe sexual behaviors, and misuse of prescription or illicit drugs) that can cause negative health or life outcomes. This can lead to diseases, disabilities, and social problems, with a final result of a death up to 25 years earlier than peers who did not experience multiple traumas in childhood, according to the study. While not every cause of mental illness or substance abuse can be prevented, trauma is something that can be reduced or eliminated. By reducing the amount of trauma a child experiences, their risk of developing any of the negative outcomes listed above is also decreased. If a child does experience a potentially traumatizing event, a swift and protective response by their caregivers can reassure them that they will be safe from future traumatic events, which can reduce the impact of the event experienced. While the treatments for mental illness and substance abuse disorder aren’t identical, there is some overlap in how they are addressed. Therapy, encouragement from family and friends, support groups, and proper use of medications can often improve the ability of a person to recover. It is critical for a person with dual (sometimes also called co-occurring) diagnoses to recognize the interplay of their mental illness with their substance use disorder. 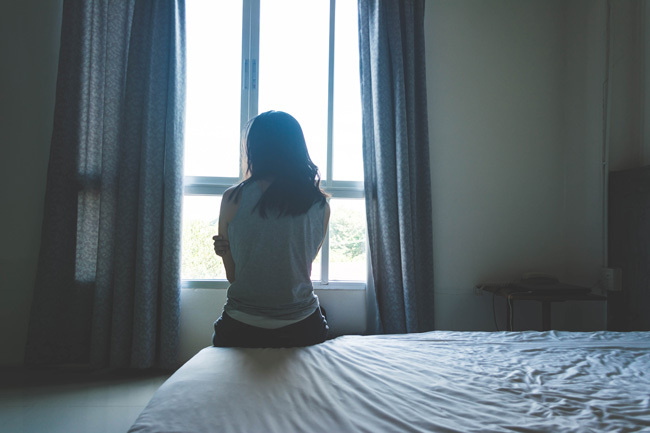 When a person experiences an increase in depression symptoms, they may feel inclined to medicate away those symptoms with alcohol or illicit drugs or to misuse their prescriptions. By the same token, a person who relapses with substances may find that they feel more depressed as a result of guilt or the chemicals they have introduced to their bodies. It is important, therefore, for individuals with co-occurring diagnoses to treat both their mental health and their substance use disorder to maximize their likelihood of successful recovery. For more information about programs offered at Valley Recovery Center, California dual diagnosis treatment, please call us today at (888) 989-9690.